Former HP CEO Mark Hurd was very successful with the implementation of a number of cost-cutting procedures that led HP to have the highest revenue of any tech company on the planet (profit is another story). Though Hurd’s ouster was supposedly over purposefully improperly filed expense reports, HP’s choice for his replacement tilted a hand towards where the board wanted HP to go. If you’ll recall, current CEO Leo Apotheker came to HP two and a half months ago after a stint as CEO of German enterprise software giant SAP. 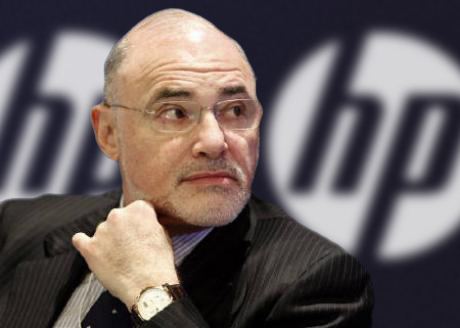 According to Wall Street Journal sources “briefed on the matter,” Apotheker is working with the board to craft a new strategy for HP that will place more emphasis on HP’s more profitable enterprise software, networking, and cloud storage and computing business than on the not-quite-as-profitable Personal Systems Group (where our friends at Palm reside). Now before you get all concerned, this is pretty standard practice for any company, and HP’s not about to abandon the consumer market any time soon. The enterprise services market is one of ridiculously lucrative nature, and HP is smart to focus a good portion of their efforts where they’ve had and expect to continue to have tremendous success. The consumer electronics market, where HP’s Personal Systems Group and part of the Imaging and Printing Group are focus, is highly competitive and subject to the whims of the fickle consumer (whereas enterprise customers tend to be more pragmatic and predictable). Don’t think that this spells the end for Palm and HP’s vision for an interconnected webOS future. Far from it - even if the Personal Systems Group gets less attention, focus, and cash from the upper echelons of HP, it’s still a profitable business (HP is the largest consumer PC builder in the world) and rolling in oodles of cash. Apotheker’s looking to focus HP where it’s proven to be successful, and it’s up to Palm and the Personal Systems Group to make webOS successful, and more importantly, profitable. With HP’s scale and reach, we can see that being an attainable goal, though it’s going to take a lot of money to get to that point. So, as always, we recommend you season this with a liberal helping of metaphorical salt. We wouldn’t at all be surprised to see HP focus more on enterprise services under Apotheker, after all, that is his specialty. But it’s important to remember that HP is an enormous company, and focusing attention on one area doesn’t necessarily mean that another is going to languish. Source: Wall Street Journal, HP Data Central; Thanks to Jason for the tip!